Is Japanese hard to learn? Yes and no! One question that I’m asked all the time is whether Japanese is a difficult language to learn. My instinctual answer would be to say that it’s easy, but I’m 11+ years invested in the language already. Well I would say that wouldn’t I? 😀 However, I do truly believe that anyone can learn Japanese with a little time and effort. What is the best Japanese dictionary? Whether you are just starting out with learning Japanese or at a more advanced level, having a good dictionary available is vital. In this article, I will break down my favourite Japanese-English dictionaries for various purposes. Bear in mind that this is by no means an exhaustive list nor is it intended as one. It simply represents my own personal experiences with studying Japanese and using it at work. Are you a regular user of our Chinese and/or Japanese plugins? Do you wish to see them continue to be updated into the future? We get daily emails and messages from people requesting improvements and bug fixes. This is great and we are happy that many people still value our plugins. Unfortunately, we can’t continue development work without your support. Without boring you with the details, we have hired freelancers for the last couple of updates. One way or another, development comes at a cost. Please make a donation now to support our project. 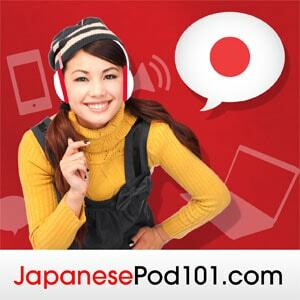 What are the best podcasts for learning Japanese? Podcasts can be a fantastic way of rapidly expanding your familiarity with a language. For Japanese, there is a multitude of resources available. In this post, I am going to list up the best Japanese podcasts that I have come across.